Round one in the AFL is notorious for throwing up peculiar results, and whilst 2015’s installment was no exception, certain performances were ominous enough to sound alarm bells around the competition. The Grand Finalists from last year both came away with wins – albeit in very different circumstances – while the other two members of last year’s final four failed to come away with the points. What is most surprising though is five of last year’s bottom 10 sides now occupy the top eight after the opening round, including Melbourne, who have not been inside the eight after round one for more than 10 years. Let’s take a look what transpired over the weekend before delving into the injuries. What went down on the first weekend of footy for 2015? The round started out on Thursday night with Richmond comprehensively defeating Carlton after an early scare, downing the Blues by 27 points in front of over 80,000-plus people at the MCG. The Blues bounced out to an early three goal lead in the contest and looked to have the game in control, but they were unable to stop a late second quarter barrage of goals from the Tigers, who never gave their opponents a chance to arrest back momentum. The most impressive performance for the Tigers came from first-gamer Kamdyn McIntosh, the round one nominee for the NAB Rising Star. McIntosh, who was an unknown commodity outside of Richmond, amassed 23 possessions and booted one goal in an eye-catching performance. The young Tiger, who was not even in the market for the Rising Star prior to round one has thrown his name right into the mix and the money has come in a big way for the debutant. Kamdyn McIntosh is $9 to take out the 2015 NAB Rising Star via Sportsbet. Two days later at ANZ Stadium in Sydney, the Swans last quarter surge saw them just get past a gallant Essendon, who, despite their best efforts were unable to take the points back home to Melbourne. The Dons led by as much as 40 points in the third quarter, but could not sustain their effort for the entire game, eventually succumbing to a lack of match fitness after the majority of their playing list missed the NAB challenge through a provisional ASADA suspension. The Swans were led by the brilliant Luke Parker, who did all the grunt work while the game was getting out of hand, gathering a career high 39 possessions before being taken from the field on a stretcher after a nasty collision with teammate Lance Franklin. Parker’s performance did his Brownlow medal chances no harm, with Centrebet winding the stoutly-built midfielder in to $21. 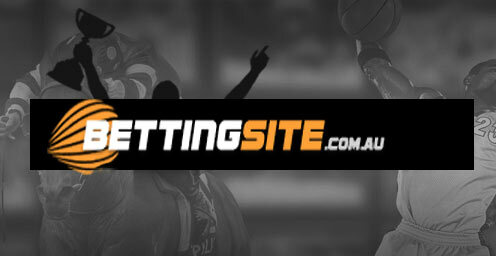 Sportsbet.com.au are still offering a juicy $35 return on Parker to take the Charlie home. 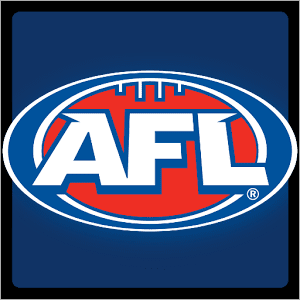 Sunday saw the Adelaide Crows make a huge statement, leaving North Melbourne in their wake, smashing last year’s preliminary finalists by 77 points at Adelaide Oval. The Crows looked like a completely different side to the one that failed to make the top eight last season, dismantling the Kangaroos in a stunning first half display that saw the Crows lead by more than ten goals at half time. The Crows’ pressure on the man and ball would have excited new coach Phil Walsh, with his team laying an imposing 57 tackles for the game. What would have excited the Adelaide fans the most though was newly appointed captain Taylor Walker’s performance. The man they call ‘Tex’ took an incredible 15 marks and booted 6 goals in an imposing display that made the entire football world sit up and take notice. As a result, Walker has moved to fourth favourite with Sportsbet to win the Coleman medal, with an $8 quote still very enticing given just how remarkable his performance (against a usually stout North Melbourne defence) was. An extended opening round that saw the matches start on Thursday and end on Monday finally came to an end when traditional rivals Hawthorn and Geelong clashed before a packed house at the Melbourne Cricket Ground. Unfortunately for the 73,000-strong crowd, the Cats were unable to live up to the hype, capitulating after half time to eventually go down by an embarrassing 62 points. There was never a threat of an early round premiership hangover, with the Hawks stepping out on to the ground where they dismantled the Swans in the Grand Final just six months earlier, and treated the Cats with similar contempt. There were positives across the ground for the reigning premiers, but what would please Hawthorn the most was the form of new recruit James Frawley. The former All-Australian fit seamlessly into the Hawks’ system, running off his opponent at will and looking right at home in the yellow and brown. As a result, William Hill have installed the Hawks as outright favourites for the flag, moving them from $4 into $3.25 on the back of their blistering performance. A couple of nasty injuries from multiple games across the weekend, with both Carlton and Essendon midfielders Dale Thomas and David Myers dislocating their shoulders. It was slightly more positive news for Carlton fans however, with scans revealing that Thomas will be able to forego surgery and will only miss up to six weeks, while Myers is still awaiting scans to determine the extent of the damage. Saturday night saw West Coast’s luckless defender Mitch Brown rupture his ACL tendon in his knee, which means the injury-riddled Eagles backline has taken another hefty blow. Elsewhere, Steele Sidebottom is expected to miss up to six weeks with a broken thumb. The crafty midfielder was unsure as to how bad the injury was post-game, but scans confirmed the break once he returned to Melbourne. In better news, both St Kilda captain Nick Riewoldt and Sydney superstar Luke Parker are expected to line up for their respective teams this weekend after leaving their games in the final quarter after suffering nasty concussions. Who won the CrownBet.com.au Round 1 cash?? Before round 1 started, we told you about the CrownBet Round 1 deal in which the bookmaker was handing out a share of $500,000 to the tipsters who correctly picked all nine games. Well, the results are in and for some lucky CrownBet members, the getting is very good. In what many would consider an impossible week to confidently pick all nine winners, 26 Aussies got it right. What’s $500,000 divided by 26? $19,230 – not a bad way to start your season! CrownBet, the official wagering partner of the AFL, have promised even more great promotions like this one as the season rolls on, so make sure you sign-up and cash-in!